With the browser plug-in "Cashback Helper", the international Shopping Community, Cashback World, is a source of great excitement to its 11 million Members, based in 47 countries worldwide. The practical tool ensures that Shoppers never again miss out on Cashback and other shopping benefits. Cashback World Members receive up to 15% Cashback and Shopping Points on every purchase at one of our 120,000 Loyalty Merchants worldwide, which they can then redeem for the Loyalty Merchant's attractive Deals and offers. Thanks to the "Cashback Helper" plug-in for Firefox, Chrome and Safari, it's now even easier for Online Shoppers to reap these benefits. The Cashback Helper informs shoppers, via the Google Search bar, that the company they are searching for is a Loyalty Merchant of the Cashback World and shows the users, in the information bar, how many Cashback and Shopping Points they have collected or whether they have any Deals which they can currently use. Having found the desired online Loyalty Merchant, you need only click on "Activate Cashback" to be able to use the Cashback World purchase benefits. 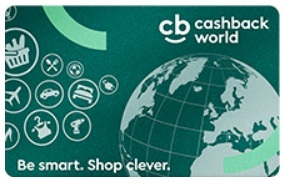 It says a lot about how easy the plug-in is to use that it's no longer necessary to log in on cashbackworld.com beforehand - it's enough to log into the Cashback Helper with your login details. And not just that, but a minimalist, clear design, making the relevant information easy to find - displaying the top Loyalty Merchants, new Loyalty Merchants and their current campaigns. The hunt for the desired online or offline Loyalty Merchant becomes equally simple: By clicking on the magnifying glass icon in the top right-hand corner, the desired shop is quick to find. For fans of AS Roma, the MotoGP™ and all other renowned Loyalty Merchants of the Cashback World, there is also the Cashback Helper in the design of your own favorite club.